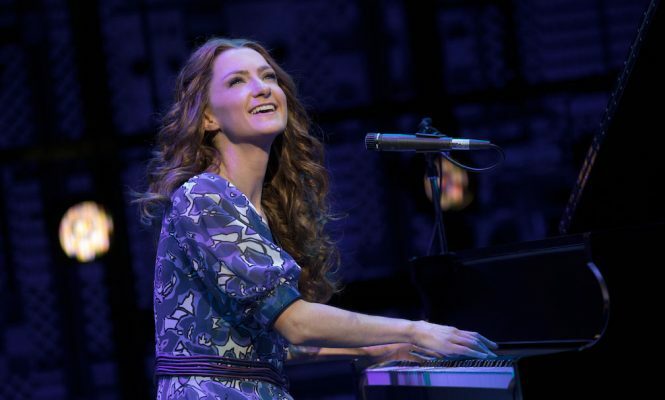 Esther Hannaford as Carole King. Photo by Joan Marcus. We catch up with Hannaford via an email interview where she shares about real Carole King and the places to see in Sydney. 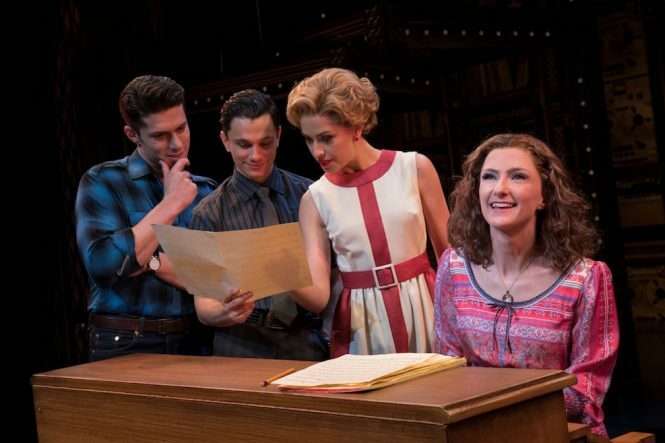 Were you a fan of Carole King’s music before you took on this role? Carole King’s music has always been a part of my life but not to the extent that it is now. I’m a huge fan. It is such a gift and privilege to sing her music every night and experience the audience’s very personal reactions to how they connect to her music. Her songs are simple and honest. They say what they mean and mean what they say. In a world that’s very confusing at times, music like that can be very comforting. They also feel so enjoyable to sing—the melodies are so good. Hannaford with the rest of the cast. Photo by Joan Marcus. Have you met Carole King? I haven’t met Carole but I know she saw my final audition tape which was a surreal experience. Knowing that she gave me the thumbs up means the world to me. I would love to meet Carole but I understand it’s a long trip out to Australia! How have you prepared for this role? I have read Carole’s autobiography several times, listened to all her music and watched all the footage I could find. You’ve traveled to 15 countries so far. What is your favorite travel destination? Why? So far I would have to say Europe—you can’t beat the diversity of cultures you can experience in such a short time. I’m an Airbnb traveler. I have had so many positive experiences and interactions traveling this way. What are your recommendations for the best places to visit and see in Sydney? I would recommend going to the Museum of Contemporary Art Australia at The Rocks. There are always interesting exhibitions going on and after you’re done looking at the art you can go sit on the rooftop and have a drink overlooking the harbor. Could you also tell us some of your recommendations for things to do, eat, and see in Sydney that’s off the beaten track? Check out the Hayes Theatre in Potts Point—it’s known for showcasing diverse and high quality musical theater. You can get right up close to the performers as it only seats 100 people. Belvoir Street Theatre and The Old Fitz are also incredible places to see theatre. I also recommend Nomad in Surry Hills. The food and drinks are the best local produce grown and raised by Australian farmers, grape growers, and wine makers. The menu draws on the flavors of the Mediterranean using local Australian ingredients.